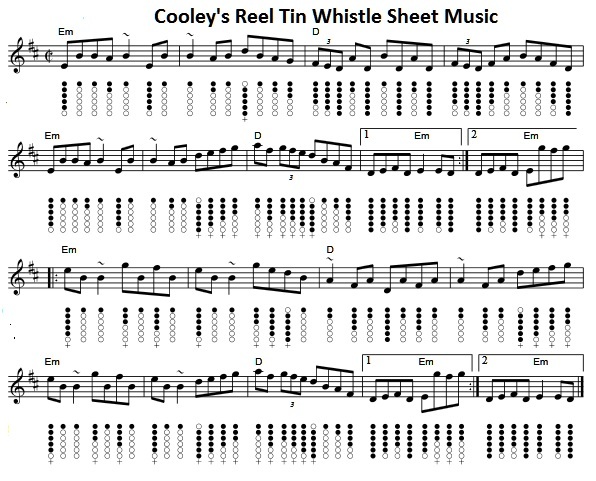 Cooley's Reel Tin Whistle Sheet Music Tune plus mandolin tab. 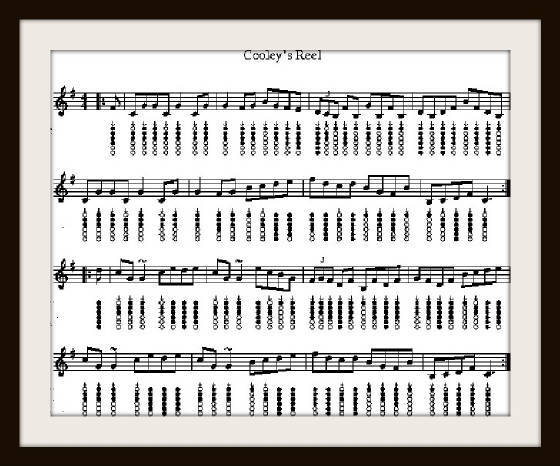 Set in the key of D Major. Over at The Session Website this is marked as in the top 10 tunes of all time. 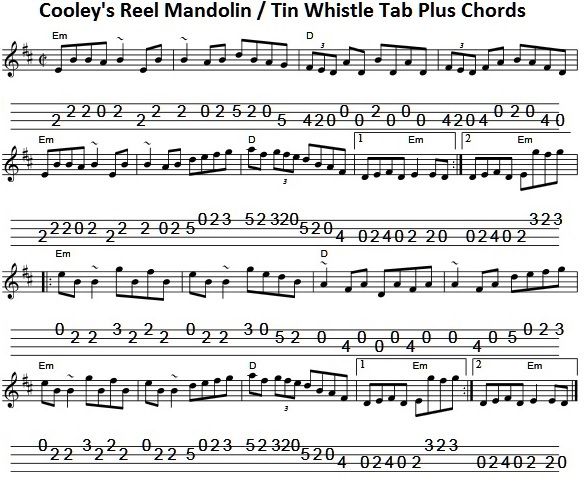 Barney McKenna from The Dubliner's used to play this one on the banjo as part of a medley. The Corrs also played it with Sharon on the fiddle.